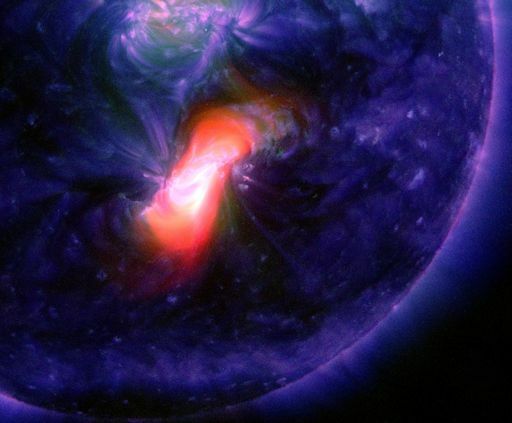 For more than an hour, UV radiation from the flare bathed the top of Earth's atmosphere, ionizing atoms and molecules. This, in turn, disrupted the normal propagation of shortwave radio signals on the dayside of our planet. A NOAA blackout map shows the affected area. Ham radio operators, mariners and aviators in South America, Africa and the south Atlantic Ocean may have noticed fades and blackouts of transmissions below 20 MHz. The storm cloud will likely reach our planet on Dec. 31st, possibly triggering the first geomagnetic storm of the New Year. NOAA analysts are modeling this CME now; stay tuned for refined forecasts later today when they release their storm track. "As the sun set, the sky turned into all colours possible," says Åman. 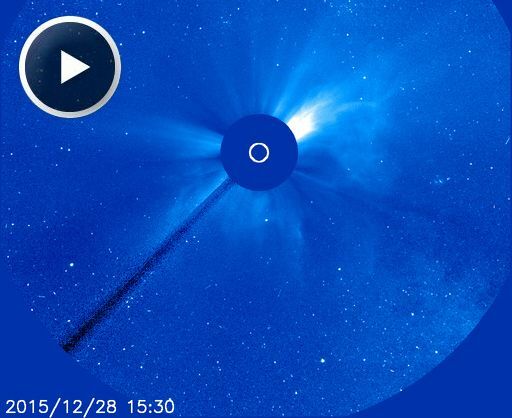 "It was like a huge display of northern lights--but no geomagnetic storm. Magic!" Also known as "nacreous" or "mother of pearl" clouds, icy PSCs form in the lower stratosphere when temperatures drop to around minus 85ºC. That's how cold it has to be for ice crystals to form in the very dry stratosphere. High-altitude sunlight shining through tiny ice particles ~10µm across produce the characteristic bright iridescent colors by diffraction and interference. Once thought to be mere curiosities, some PSCs are now known to be associated with the destruction of ozone. 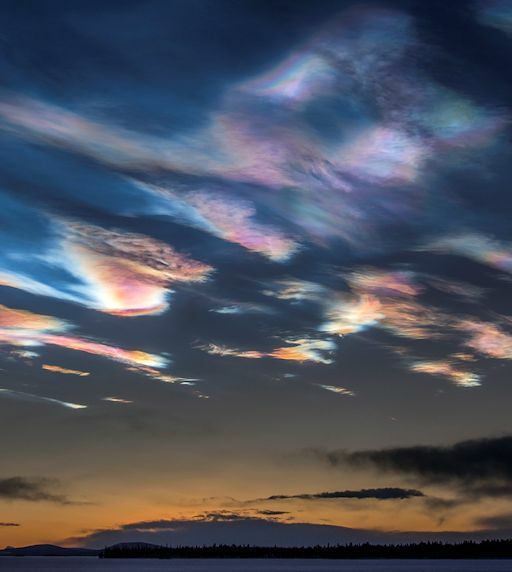 "Polar stratospheric clouds far outshine and have much more vivid colours than ordinary iridescent clouds, which are very much poor relations and seen frequently all over the world," writes atmospheric optics expert Les Cowley. "Once seen they are never forgotten." 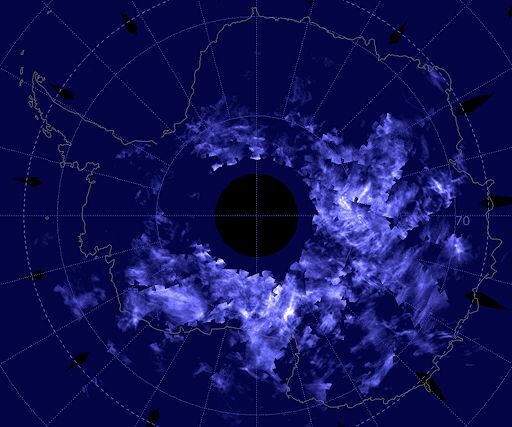 The season for southern hemisphere noctilucent clouds (NLCs) began on Dec. 13th with just a few puffy clouds over the frozen continent. Once NLCs first appear, AIM has shown that they rapidly multiply. Indeed, this is happening now, and most of Antarctica will soon be blanketed in electric blue.